This book was recommended and won a Pulitzer. This is an interesting coming-of-age novel spread across 3 generations. I am conflicted about this book. Though the content was interesting, I believe about 2/3 of it could be chopped and nothing would be lost. The story of his grandparents romance, marriage, and emigration is told. The trials and tribulations of each stage of life is given. Then the story of his parents is told. And the trials and tribulations thereof. Repeat for 3 generations. Finally, over two thirds in, the narrator is born. The book is written like an autobiography with a mild twist: He will sometimes put himself in the minds of other characters and switch to 3rd person, which actually works out well. With the narrator, we are taken to childhood, adolescence, and current day. If the purpose of the book is the author's life story, is deep detail of the grandparents and parents really necessary? I am not sure. The narrator is a hermaphrodite. The story of all the recessive genes coming together (grandparents -> parents -> she/him) to create him is pertinent. His grandmother going to work with silk worms, his grandpa starting a restaurant, and his dad selling hot-dogs... I disagree. Since history is a continuous thread that is always building, there is a lot difficulty in finding a starting point. I read books 90% for entertainment purposes. Does it matter the point is buried under 20 extraneous chapters if the story is interesting and well-told? I suppose not. I do like efficient story-telling. See my review of a romance-novel-pretending-to-be-mystery and ultra-dense-but-fast sci-fi. The very first chapter makes little sense. I think it was a start in the middle-of-action chapter to "hook" the reader before the story and intros begin. Since this book has few action scenes and twists, a chapter like that did not make sense. The author's brother is called "Chapter 11" throughout the entire book. The real name is never mentioned. The purpose of the nickname is never explained. Just accept it. "The Object" is never given a real name, but at least the reason is explained. While the narrator is a hermaphrodite, it is not so much the focal point of the book. The only part it comes in to play is adolescence when the male side takes over the female. This is a confusing and difficult time that effects all people. For her/him, it is basically just an even more confusing time. The handful of experimentation among 14 year-olds was very cringey details I would have preferred to have left unread. This book could be considered a testament to a life of finding love, work, and the general difficulty of life, but with an abnormal focus on genitalia (literally and figuratively). I could feel the anguish of all the characters just trying to get by. Just trying to make the best of the cards they were given. I enjoyed this book, but I was pleased when it finally ended. Living the lives of 3 generations is exhausting. 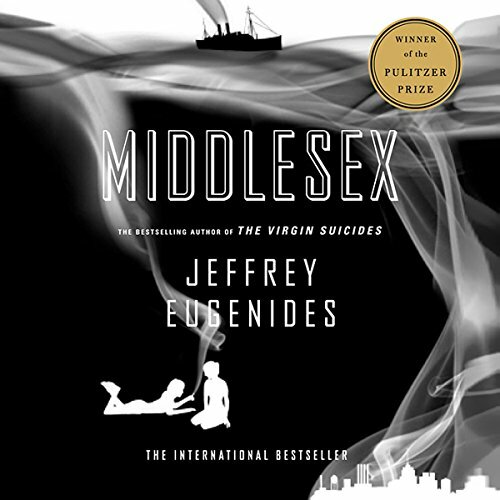 Discuss Middlesex in the forums.